The world over and especially in many third world countries billions of people live on dirt floors. These floors are a major cause of infectious diseases, respiratory illnesses, malnutrition, and vector-borne diseases. 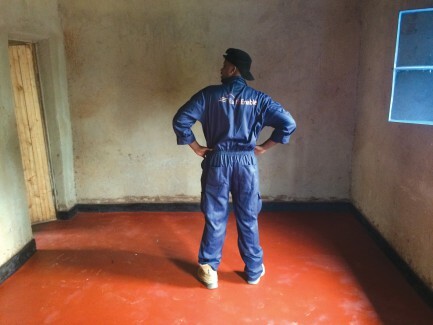 Earth Enable, based in Rwanda, is a social enterprise on a single minded mission to improve both health and housing in low-income communities by eliminating unsanitary dirt floors. 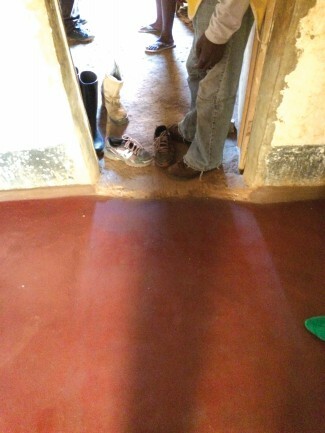 Earth Enable builds locally sourced, earthen floors that are 75% cheaper than regular concrete floors. Earth Enable started with a dream to improve health conditions through simple and affordable solutions. 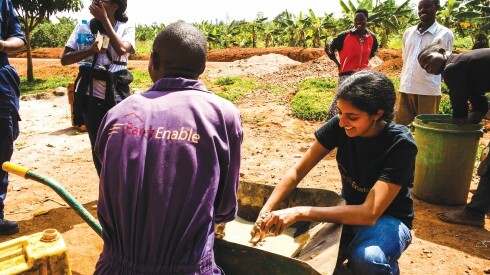 Traveling to Rwanda under the program, “Entrepreneurial Design for Extreme Affordability” in 2013, four Stanford students were tasked with their partner organisation – The Mass Design Group – to design a product or a service that would make homes or communities healthier. They first sought to understand how sub-optimal homes affected physical and emotional health outcomes. They were shocked to discover the significant health problems that dirt floors cause. 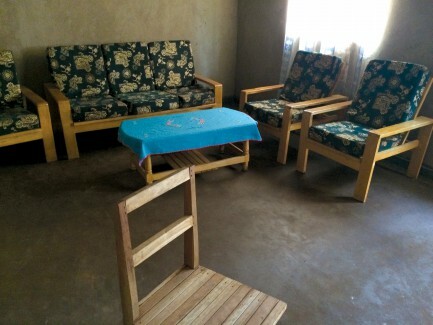 Eliminating just the dirt floor in a home leads to dramatic reductions in childhood asthma, diarrhea, malnutrition, and other parasitic infections. 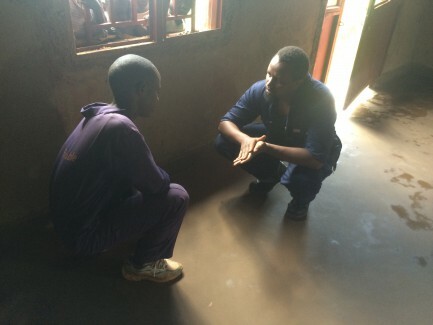 The groups realised that they could bring about a huge change in people’s lives if they found a way to change the existing floors of houses in Rwanda. Nearly 80% of Rwandans live on dirt floors, which have shown to be a major cause of infectious diseases, respiratory illnesses, malnutrition, and vector-borne diseases. 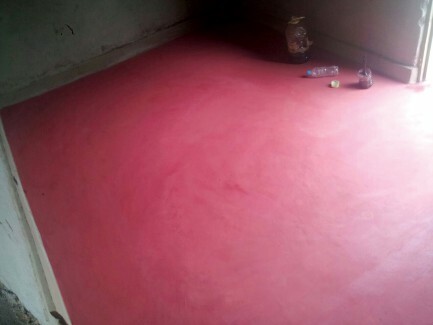 Concrete flooring – the only other viable alternative – is prohibitively expensive at 300 plus USD for a 200 square foot home. This problem is not limited to Rwanda alone and exists in practically all third world countries. 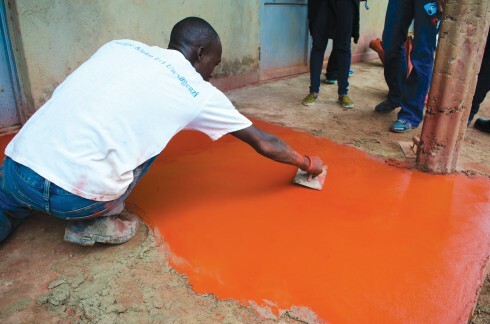 There is substantial unmet need for clean, durable, and affordable floors throughout the developing world, representing a potential market of billions of people. 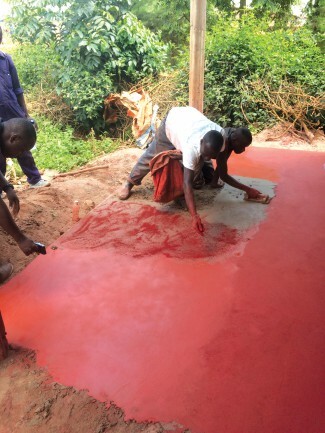 Earth Enable provides an affordable alternative to dirt floors: locally sourced, earthen floors that are 75% cheaper than concrete floors. Earthen floors are a proven technology in the United States, where the trade has been refined to make them water-proof, easy to clean, abrasion-resistant, and modern looking. They are made by hand with a mixture of compressed earthen materials – gravel, sand and clay – and are then sealed with a drying oil. a) Developing a proprietary process to cost-effectively convert any locally available, unsaturated oil into a drying oil. 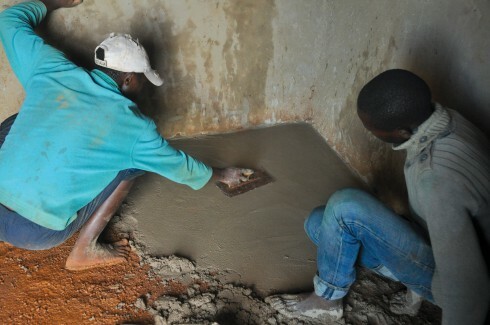 b) Developing a training curriculum that equips masons with the skills to install high-quality earthen floors. Earth Enable’s floors are a substantial improvement from concrete floors, not only because concrete is prohibitively expensive, but also because the industry is incredibly environmentally unsustainable, responsible for 5% of global carbon emissions. 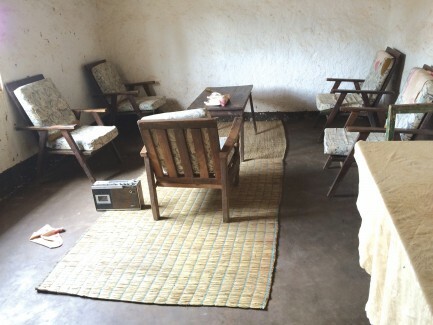 Earthen floors enable the developing world to shift to proven, affordable, and green construction technologies while improving health; a significant improvement over the status quo. Earth Enable has seen considerable success and growth since it was founded 2.5 years ago. EarthEnable has built over 1,100 floors reaching approximately 6,000 people. In just 2016 EarthEnable built almost 1,000 floors. The organisation currently employs over 100 people in jobs ranging from office employees to mason apprentices. EarthEnable plans to scale their operation rapidly in 2017, hopefully planning on providing many more families with healthy, clean and sustainable floors. Earth Enable has employed more than 80 people full-time. 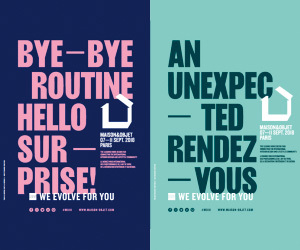 Part of its organisational culture is to invest significantly in the professional development of its staff. The organisation has frequent coaching sessions and check-ins, and is constantly reshuffling duties and responsibilities for the teammates to grow into more senior roles. Youth unemployment is high in the countries they work in and as a result, it is very common for the youth there to graduate from college without jobs. Earth Enable believes it’s their responsibility to hire and train bright young individuals in the third world especially those who want to be part of their country’s development.